Alyssa Shorstein was admitted to the Florida Bar in 2009, the U.S. District Court, Middle District of Florida, in 2009, the Florida Middle District Bankruptcy Court in 2009, the US District Court, Southern District Court in 2010, and the Florida Southern District Bankruptcy Court in 2010. Alyssa earned a High School Diploma from St. Augustine High School in 2002, a Bachelor’s Degree Flagler College in 2005, and Juris Doctorate from The University of Florida Levin College of Law in 2009. Alyssa is a member of the St. Johns County Bar Association (Officer, 2012-2014; President, 2015; CLE Chair, 2016-present), the St. Johns County Sports Club, as well as the Family Law and Real Property, Probate & Trust Sections of the Florida Bar. Alyssa served on the Florida Bar Grievance Committee from 2014-2017. Sung practices in the areas of criminal defense and family law in St. Johns and surrounding counties throughout Northeast Florida. Alyssa practices in the areas of bankruptcy law, criminal defense, family law, wills, trusts and estates in the Seventh Circuit which includes St. Johns, Putnam, Flagler and Volusia Counties. 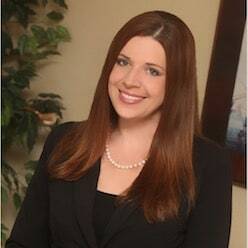 She also provides Florida Bar Grievance Defense in the Seventh Judicial Circuit.